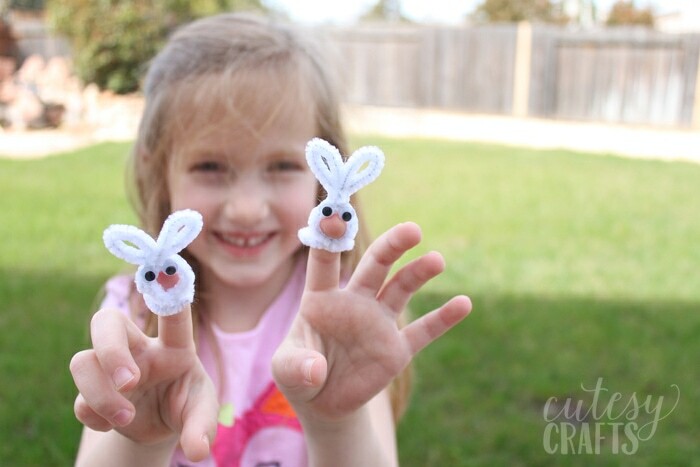 Today I have an absolutely adorable and easy Easter craft for kids. 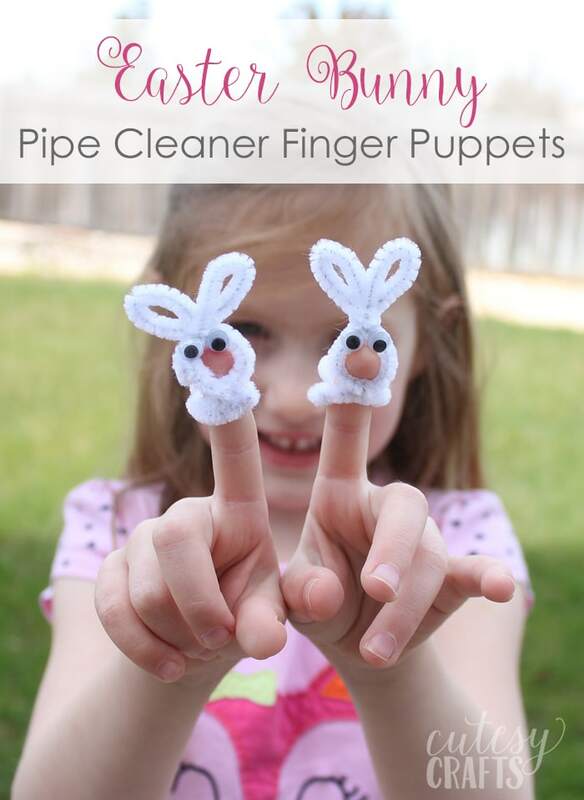 I made these bunny pipe cleaner finger puppets with my kids a couple years ago, and they loved playing with them. 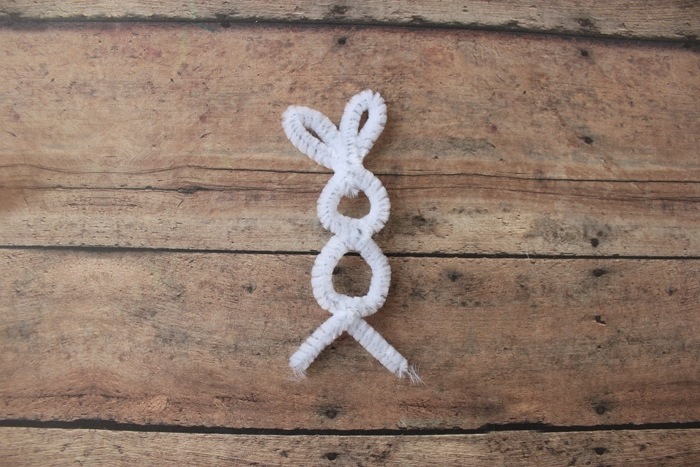 I thought I’d share a quick tutorial so you can make them with your kids this Easter. 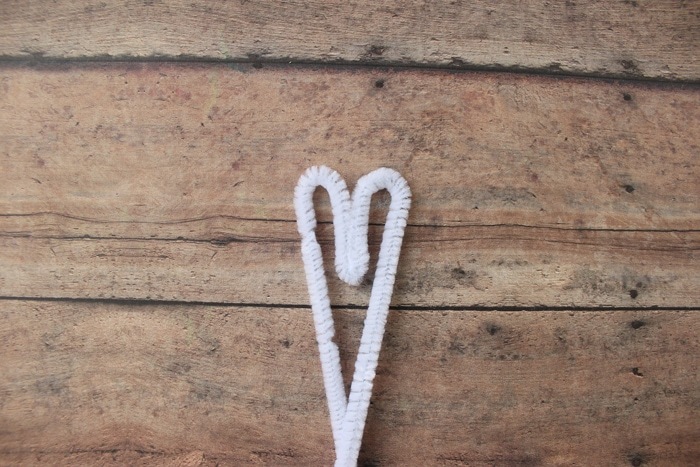 These are really easy to make and don’t require many supplies. 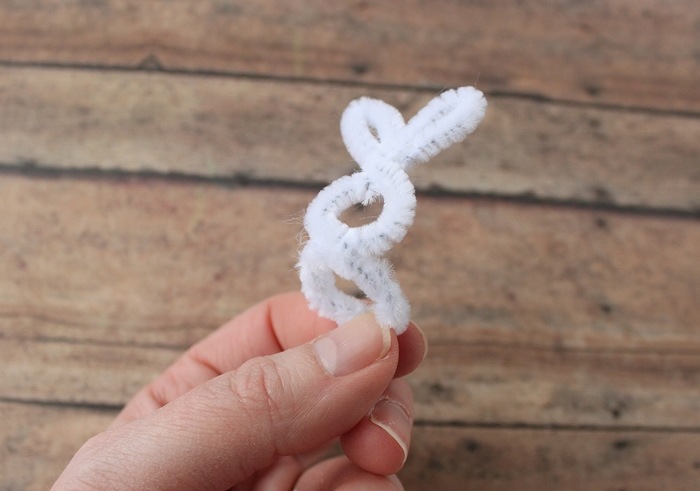 I already had everything that I needed in my kids’ craft bin. 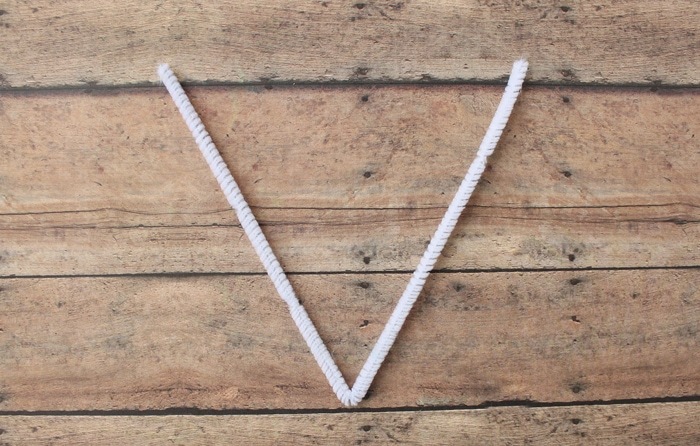 First, fold the pipe cleaner in half, making a “V” shape. 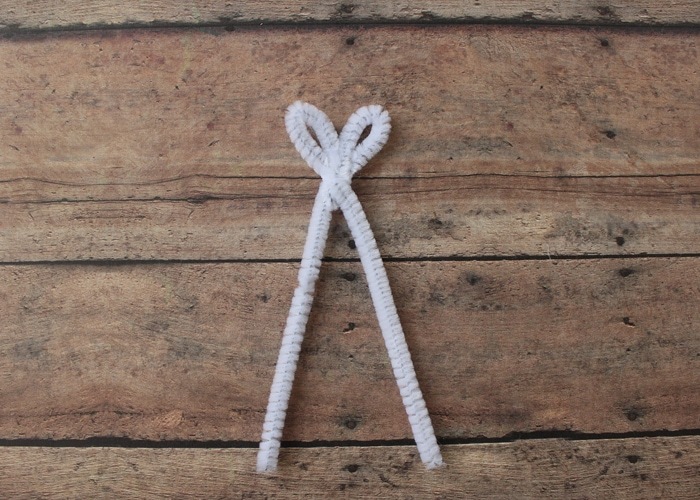 Curve the ends over leaving about an inch and a half at “V” part of the pipe cleaner. 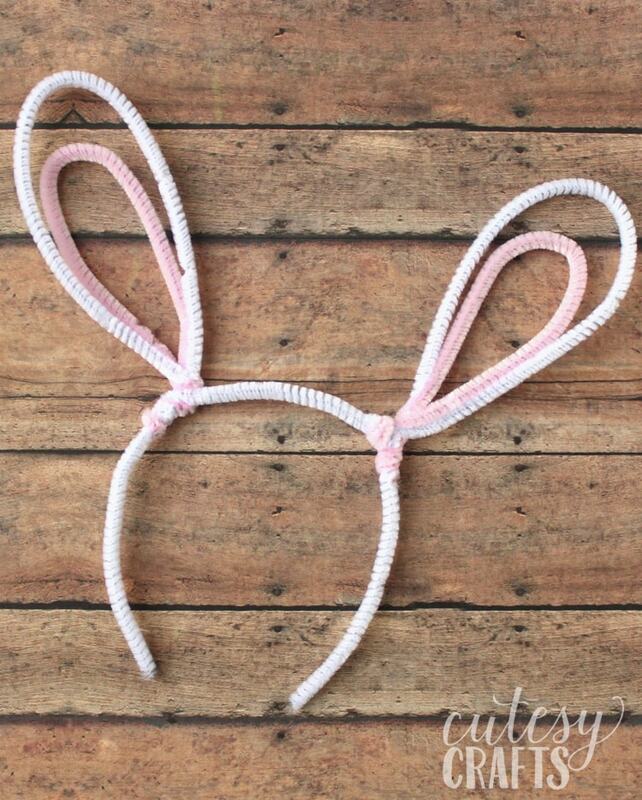 These are going to be the ears. Twist the ears around to secure them in place. 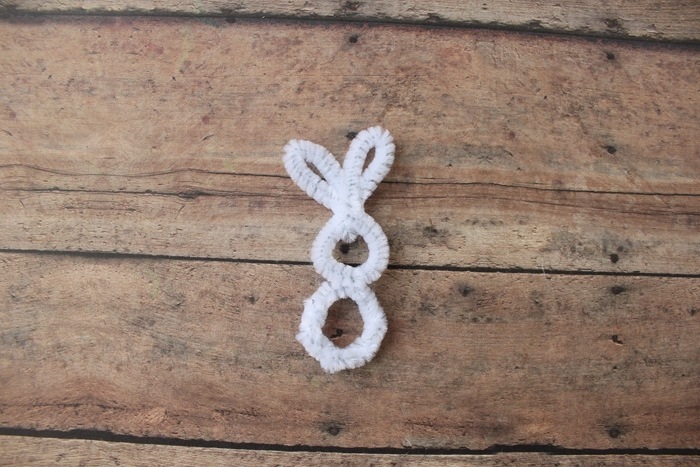 Cross the ends of the pipe cleaner over each other to form a circle. 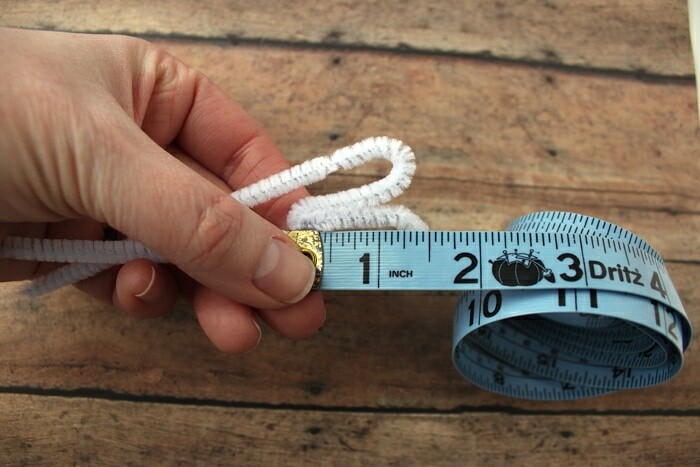 Make sure the tip of your finger fits in it and twist a coupe times to secure. Repeat to make another circle that is slightly larger. 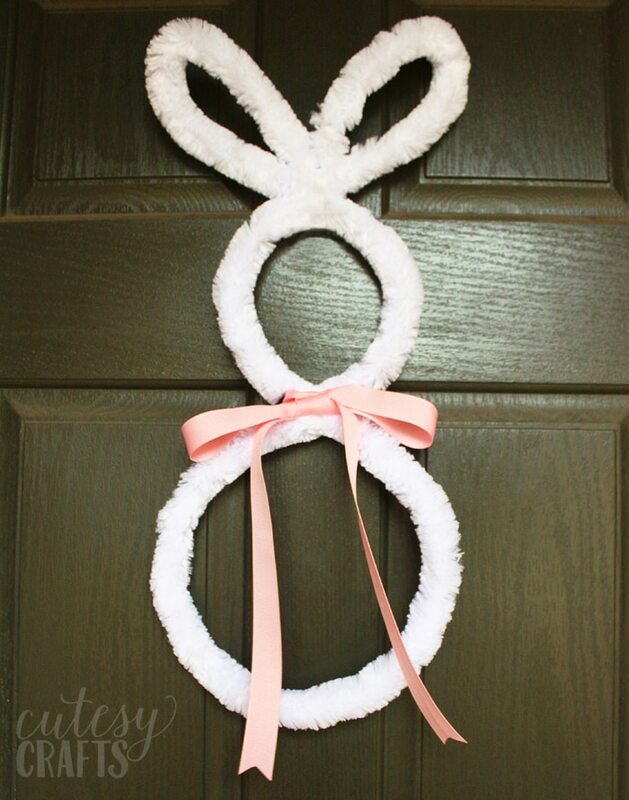 Wrap the excess pipe cleaner around the bottom of the bunny shape. 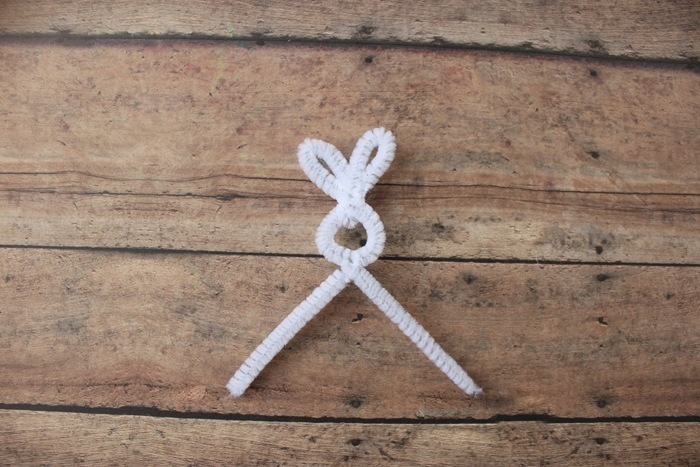 If you have a lot of excess, you can even trim some off with a pair of scissors. Bend the bottom circle back at an angle. 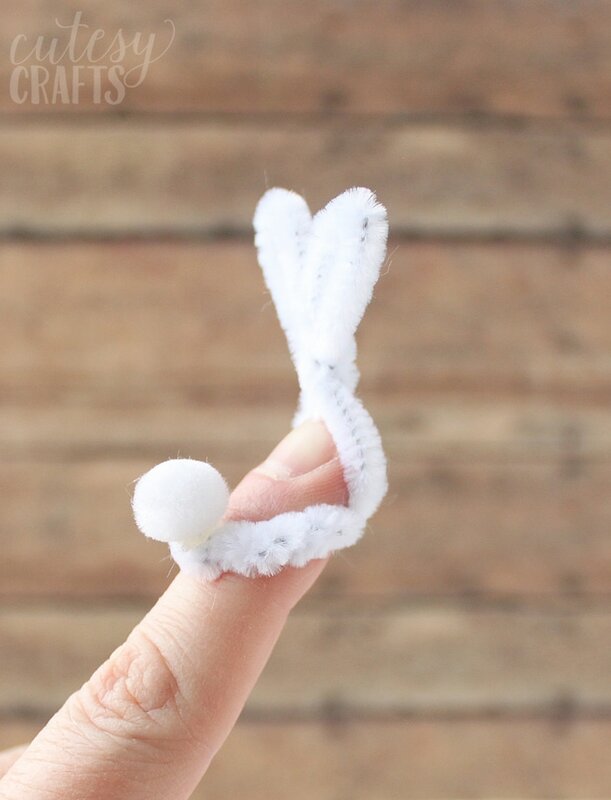 Hot glue the pom pom onto the top of the bottom circle to give the bunny a fluffy little tail. 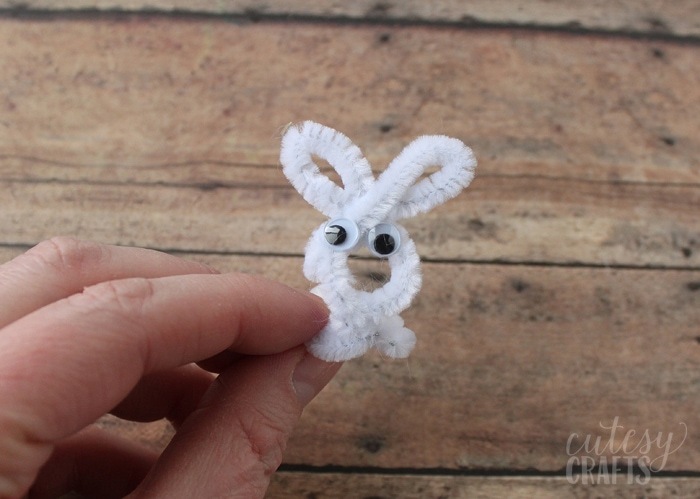 Put two little googly eyes on your bunny. 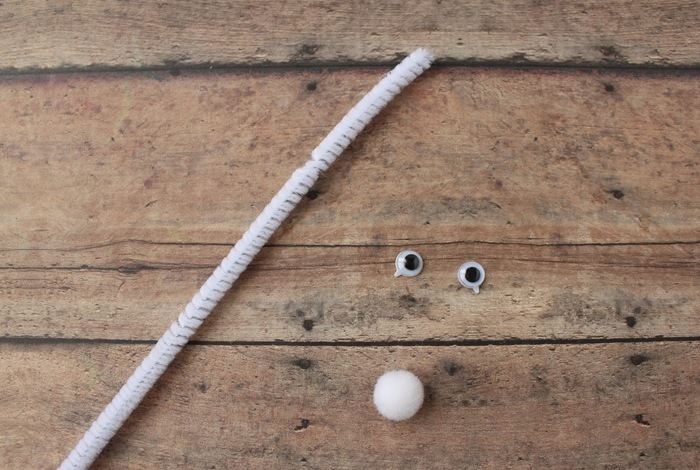 You can either have an adult hot glue them or get googly eyes that already have a sticky back. 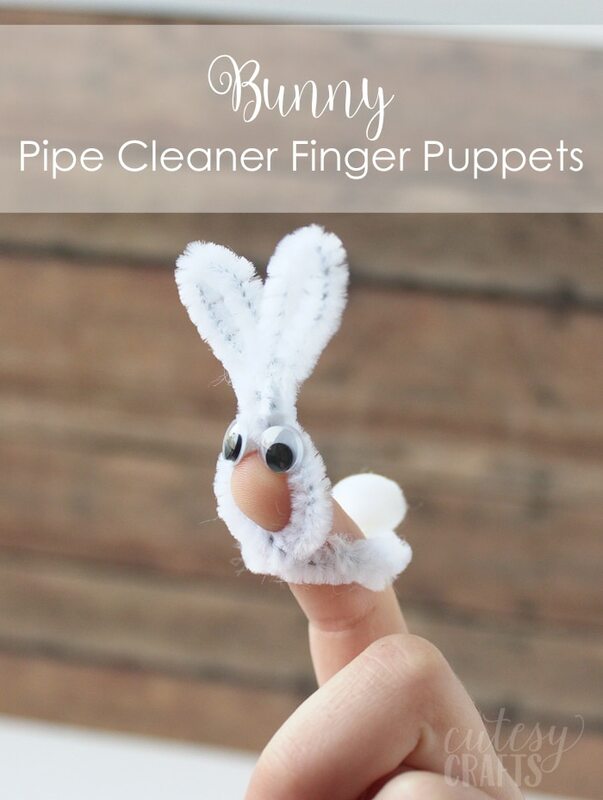 The finger puppets should fit on your finger like so. I think I might love the back more than the front! Such a cute little tail! 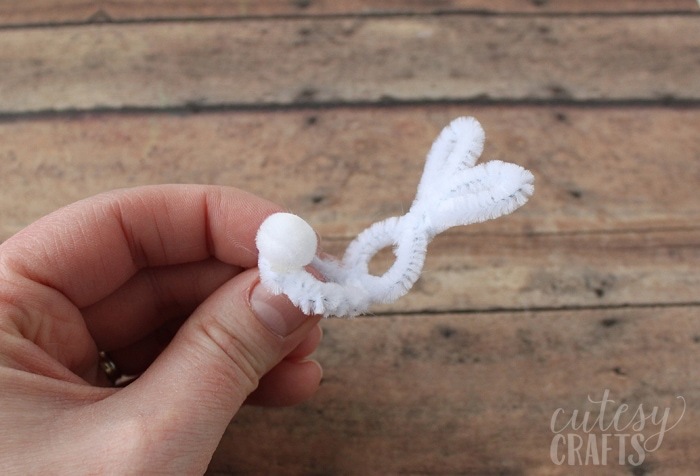 A fun and simple Easter craft for kids!